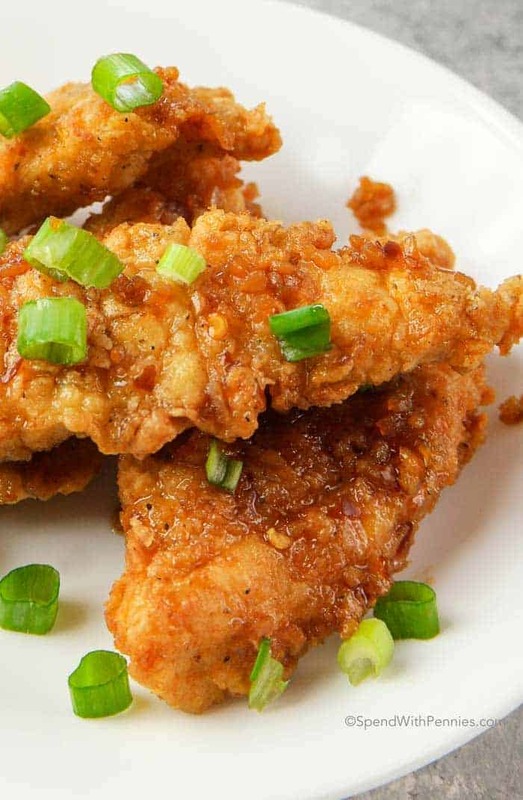 Hawaiian Chicken is like a cross between a sweet and sour chicken and a brown sugar chicken. 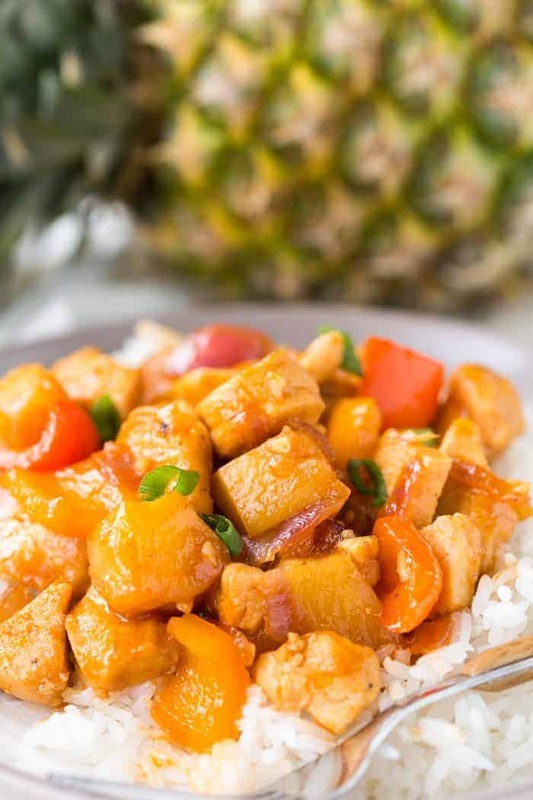 It has a sweet sticky sauce, and delightful chunks of pineapple and peppers, served over white rice. I don’t know about you guys, but I could always use a vacation to the beautiful islands that make up Hawaii. Unfortunately, I can’t get there nearly as often as I want. 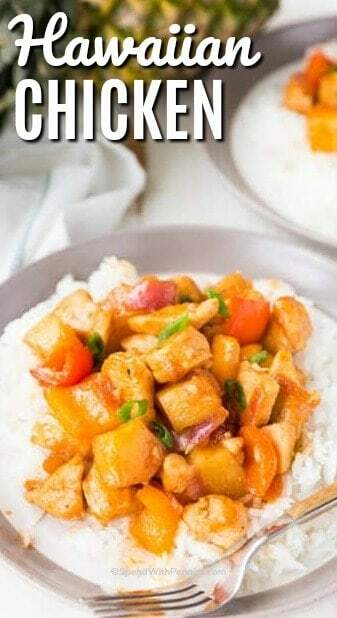 But lucky for me, this unbreaded, cooked on the stove-top, easy Hawaiian chicken will have your tastebuds going on a tropical vacation in no time. 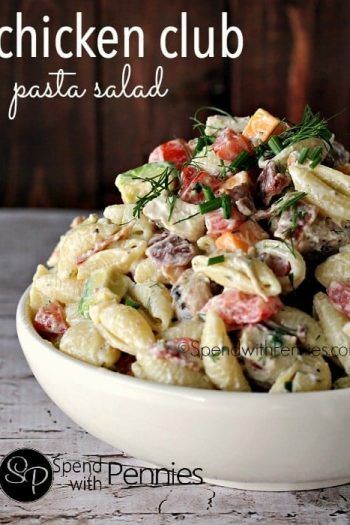 It is better than take-out, and absolutely mouthwatering with both sweet and tangy notes. 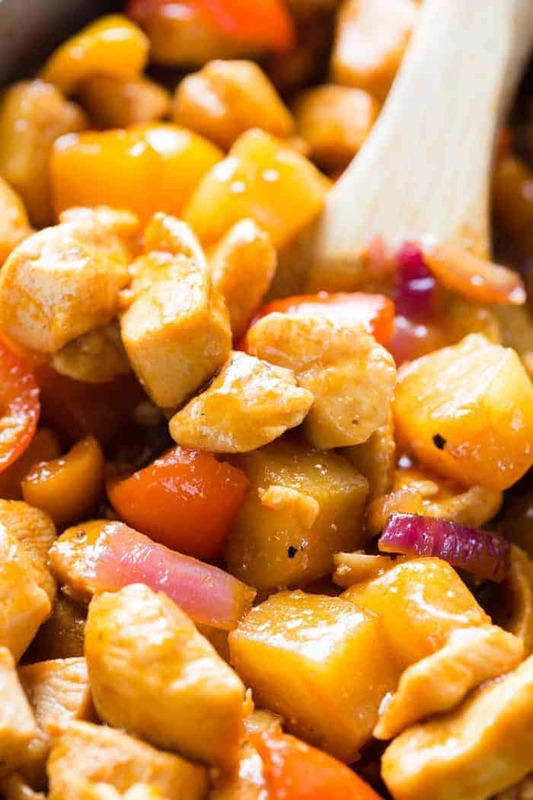 The best way to describe the taste is a sweet and tangy sauce that is a cross between pineapple chicken, sweet and sour chicken, and brown sugar chicken. The sauce ends up being this sticky, caramelized sauce of brown sugar and pineapple, with some nice tangy notes from the vinegar and BBQ sauce. 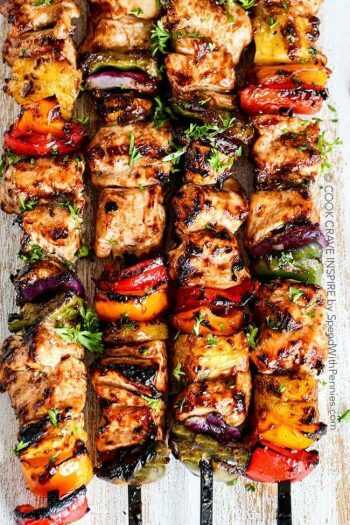 In fact, the sauce on this chicken is so good I sometimes use it for grilling chicken breasts, not just to make this yummy, almost stir fry like meal. When it is kind of gloomy, and we are stuck in the colder, darker, winter months, I love having fresh and flavorful meals that bring some sunshine and brighten the table. This is definitely one of those meals. No one is going to feel gloomy or sad when they get a taste of this meal. The flavors are absolutely mouthwatering. How Do You Make Hawaiian Chicken? 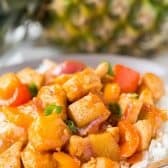 One of my favorite parts of this Hawaiian chicken recipe is it is comprised of everyday ingredients that are simple to find, and totally awesome when combined. So despite the simplicity, it feels so special. It’s so simple: sear the chicken, cook the peppers, combine the sauce ingredients, and then add all of the ingredients together. Cook until the peppers are soft, and the sauce has thickened and glossy. It’s that simple! And if you are in a hurry, and don’t want to cut your chicken up, it is totally easy to customize the recipe, and just use chicken tenders, or chicken breasts. 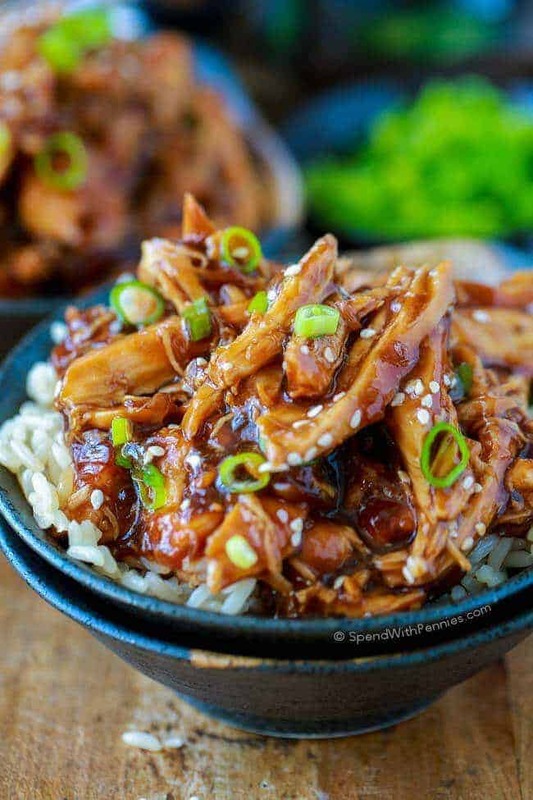 The one thing to keep in mind is that the sauce thickens and caramelizes as it cooks down, so if you plan to use whole chicken breasts, cook them a little longer before you start the sauce so they can be cooked through by the time the sauce reaches that sticky, deliciously luscious consistency. Consider pounding your chicken breasts to make them flat and even for a more consistent cooking time and even cooking across the whole breast. 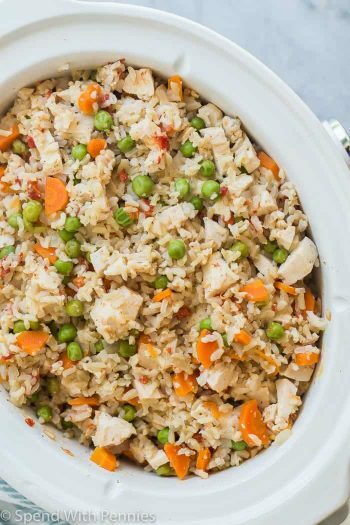 And of course, serve it all on white rice or cauliflower rice. I love serving this with a vegetable side like this Cucumber Dill Salad. 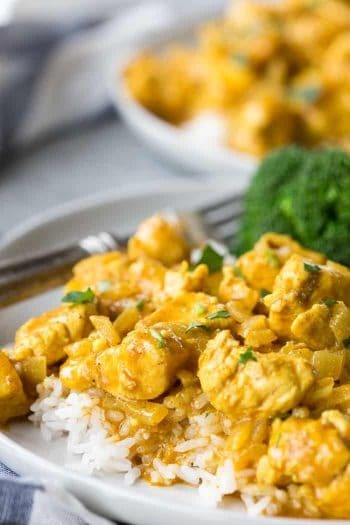 If you are looking for other great chicken recipes for weeknight meals, be sure to check out this mega-popular Lemon Butter Chicken or this Sheet Pan Baked Greek Chicken. Hawaiian Chicken is like a cross between pineapple chicken, sweet and sour chicken, and brown sugar chicken. 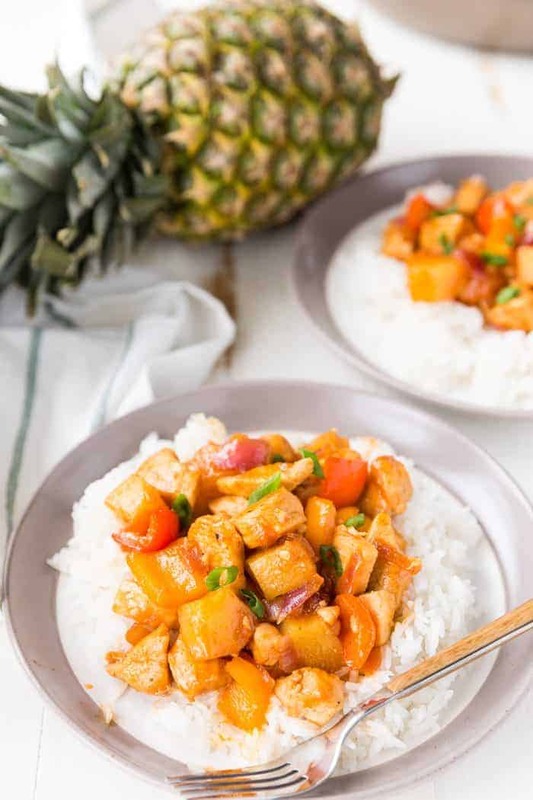 It has a sweet sticky sauce, and delightful chunks of pineapple and peppers, served over white rice. Season chicken with salt and pepper then add to the skillet. Sear outside until a nice golden crust forms. Remove chicken from pan, add in bell peppers and saute for 3-5 minutes until tender, remove from pan. Add sauce ingredients to pan, and bring to a simmer, add chicken back in, and cook on medium-low heat, letting sauce reduce while chicken cooks through. 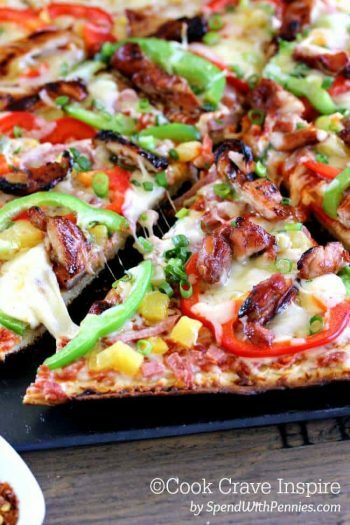 Add peppers and pineapple to pan, and cook a few minutes more, until sauce is thick, sticky, and glossy, and peppers are tender. (8oz) crushed pineapple and garlic powder in the slow cooker. Season liberally with salt and pepper and stir to combine. Cover and cook on low for six hours, or until the chicken is tender. Season with salt and pepper. Serve the chicken and serve over rice. If you want to thicker, richer sauce, you can reduce it a bit on the stove top. First transfer the chicken to warm up later. Then pour the sauce into a sauce pan and cook over medium heat, stirring often, until the sauce is thickened. Enjoy! Wow that sounds amazing!! Thanks Kenny G! Could you use boneless skinless chicken thighs instead of breasts? Sure you can, that would be delicious! I have only made the recipe as written. This is SO good!! I used a 20 oz. can of diced pineapple and it turned out Perfect. I have made it 3 times & is now my Go 2 quick meal. I’m so happy to hear that Bella! You think is it okay to use this hawaiin bbq sauce? I think the sauce you picked would be great Kaye! What kind/brand of barbecue sauce and soy sauce did you used? Trying it tonight; sounds absolutely delicious. So glad you enjoyed it Nadia! MMmm all the flavor right here! Love it! These photos are making my mouth water. The sauce sounds absolutely delicious! Love this flavor combination!!! How can I resist????? I can see how this dish would make the whole family happy. Chicken and pineapple, that’s just brilliant!